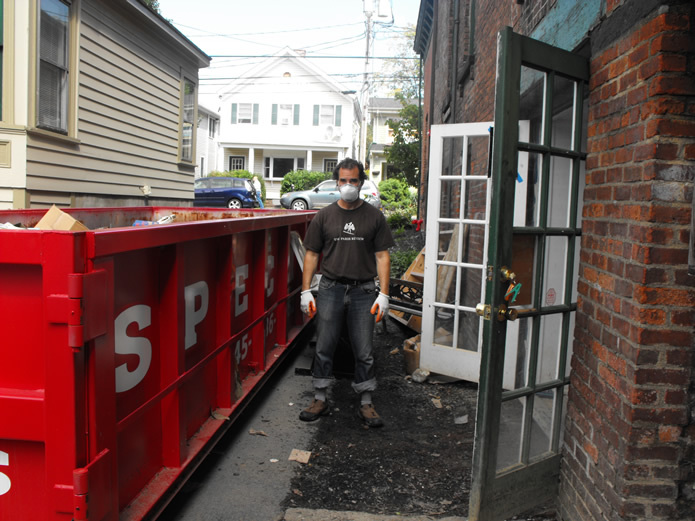 It’s been more than two peaceful weeks since the last flood clean-up here in upstate New York. Cleaning up seems to have become a yearly ritual for me (I’ve cleaned up 3 floods this year alone), and I have a fairly secure job when flood time comes. Repeatedly I have been hired to clean-up a flooded basement that was once home to approximately 1500 books. It’s not something I look forward to, as the work entailed may be fairly unpleasant, almost always requiring that I wear a mask and inhale toxic gases and cleansing agents. The property is situated on a concave parking lot where the water gathers, forming a pool perfect for kayaking rather than parking cars. And the water flows around the building and down into the basement, pouring in so rapidly that the sump pump can’t keep up. You can imagine what I find when I enter the basement to begin my clean-up efforts, discovering that there is usually no less than four feet of water before I even get started. As a college graduate holding a master's degree in English rather than environmental engineering, you might think that I would sniff at such work; but I'm learning to pursue work that pays well rather than gives me ego gratification in terms of how I define myself. Nobody pays me for my poetry these days and I don't think my poem "Ode to a Flood" is going to hit the NY Times Bestseller List. Flood clean-up is a different story altogether, commanding a decent wage. Although not exactly Wall St. pay, my commute is only 5 miles and I get to wear my favorite tee-shirt along with some other fine rags. Floods like this give me plenty of time for reflection. “Cleanliness is next to Godliness” I repeat over and over, as it helps get me through the initial stages of an unseemly process. This flood was different in one important respect. I was ordered to dispose of all of the books sitting atop the book shelves, for fear that over the years they had been tainted by foul smells and mold accumulating from prior floods. It was time to clear the basement of the books, to take down the shelves and empty the space completely. Some people cannot bear the thought of books being tossed out, regardless of the shape in which they appear. I have thrown out many books, for one reason or another, regardless of appearance, subject matter or the age of the book. A book is just an object and I’ve learned to detach when it comes to its removal. I'm quite skilled at what I do, emotionally speaking. As a kind of book mortician, I take my work seriously. Wearing my Paris Review tee-shirt, it is of great satisfaction knowing that the fate of these books is in good hands, as if I am uniquely qualified in some way to carry out this duty. As a book lover, a former bookstore owner and English teacher, aren't those credentials good enough? 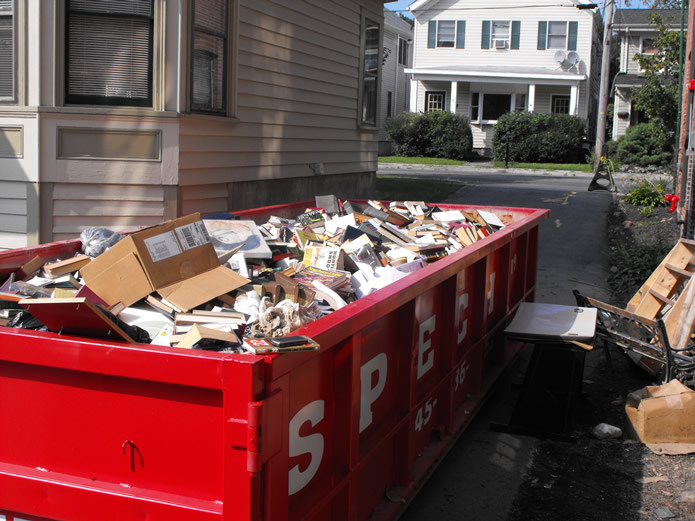 You should know that with each book that I toss into a dumpster, I have blessed it before it departs to a distant landfill. 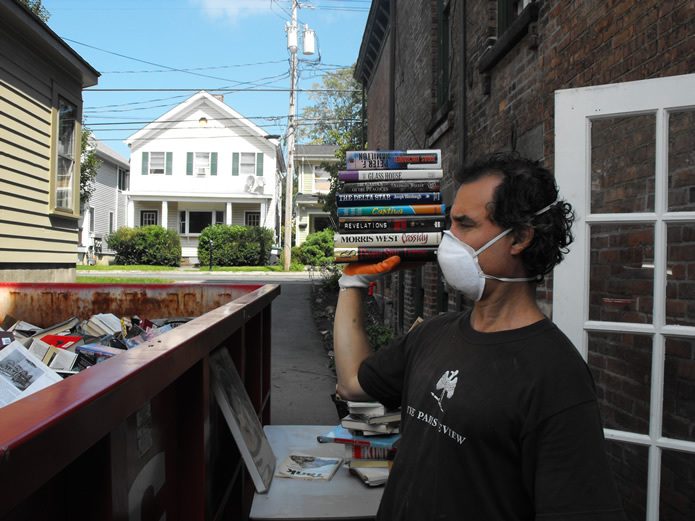 During this flood, a University Professor drops by, witnessing my actions in the heat of book removal. It offended his academic sensibilities to see the sheer numbers of books being tossed. Like everyone else who stopped by, he too speculated on the merits of saving the books, perhaps clinging to a romantic notion that a book is a sacred object. With the IPad or Kindle, where one can easily hold thousands of books in the palm of a hand, a physical book's sanctity is no longer the subject of debate. If it is of any solace, however, I decided to save 10 books. The books were judged by title and cover and I vowed that I would at least look over their contents, hopefully even read them at some point in time. These are the books that I saved. 1.) A Man Without Words - A flimsy paperback, worth no more than 2 dollars in a used bookshop, I identified with the title, for much of my time cleaning up required no language use. My work is often done in solitary where words are not exchanged. I wondered, would this book help me identify with my human condition? I kept it because I wanted to find out what it was like to be a man without words. 2.) The Onion Eaters - The cover of this book is beautiful, with four golden onions embossed, reminding me that the loss of a harvest, as in the case of farmers who lost their onions to Hurricane Irene, is of more tragic consequence than the loss of 1500 books. 3.) Albrecht Durer and the Venetian Renaissance - Skimming through the book, I note it is heavy with academic discourse that might bore most. But as a title, I appreciate the significance that one artist plays in serving as a catalyst to help create a Renaissance. Perhaps it’s a book I’d like to write myself, in layman terms. 4.) Shoulder Fractures: The Practical Guide to Management - Knowing the book business, I recognize a book that would fetch a nice price on Amazon, as the medical niche book market commands good prices. Pair it with a shrink wrapped book on microsurgery, I can easily make a few hundred dollars on book sales. However, I selected the book on shoulder fractures because after tossing 1500 books into a dumpster using one of my shoulders, I wanted more insight on why it was giving me some pain. 5.) Faith Made Them Champions - This won the prize for best book jacket in my estimation. Now I am reading about Bob Feller, in his own words, and the faith that made him a champion. I am inspired after reading only a few paragraphs to continue reading. I can’t wait to dig in to all of the other stories told by the champions of yesterday. 6.) Women of Flowers - This book is a tribute to Victorian women illustrators who have a talent for illustrating and painting flowers. I have a hard time letting go of such beauty, knowing that Kerryl too will enjoy this book. If I were on a Caribbean Island, I might be inspired to take up a paint brush and become an illustrator myself. 7.) F Scott Fitzgerald in Minnesota: Toward the Summit - F.Scott is one of my favorite writers. I’d like to read about his Minnesota Days and the days before Gatsby was written. Something about Minnesota that hearkens me back to my younger years living in North Dakota. We all have a past. 8.) Entering Space: Creating a Seafaring Civilization - This is a hardcover, in almost perfect shape. I am curious about whether there is a future in our space frontier. I’m dazzled by its infinite scope and the potentiality to traverse it. Will we be able to inhabit planets in a hundred years? A thousand years? What beauty lies beyond earth that parallels the marvels of our own planet? 9.) The Canterbury Tales - I’m not sure why I plucked this book out, as it is written in old English and does not contain a translation. I like the feel of its slick cover, and I know that it just might keep me company over the long haul, when my mind and soul are probing for something deeper, something to study and ruminate on. 10.) Home Comfort: Life on Total Loss Farm - My heart continues to go out to all those farmers who’ve lost so much due to Hurricane Irene. I read a passage about a farming family making do with what’s in their empty cupboard. I count my blessings for what I do have. I am planning a vacation soon. I am going somewhere to recuperate from flood clean-up. I’m not sure whether I will take my new books with me. Maybe I will take one. Maybe this collection of ten will stay with me my entire life. Or maybe, one by one, they will drop out of sight or gather mold and have to be tossed. It’s hard to predict. I don’t know whether I will ever be called to clean-up another flood. If not, I wonder if I might even miss it, as I get to dig through the artifacts of my life. I refuse to be defined or to even define myself in light of all of the possibilities tomorrow may bring. For me, even when I am in the midst of cleaning-up floods, I feel I’m on a personal voyage of discovery taking me beyond space and time.